Evolution is an interesting concept because it’s the change that’s natural, logical, and involved. And although Themes (Office Themes) did not exist in their present form before Office 2007 for Windows, they did evolve from the humble PowerPoint template. And as you get deeper into how Themes work, you’ll find that PowerPoint uses these Themes in amazing ways, and shares them with Word and Excel. That’s the reason they are called Office Themes rather than PowerPoint Themes. Learn about Office Themes and how they work specifically in versions of PowerPoint on both Windows and Mac. Where Are the Office Themes and Templates Located? 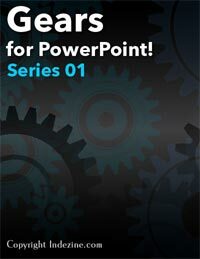 Haven’t you seen the Themes that PowerPoint shows you when you want to create a new presentation? Where are those Themes located? Many times, you want to know why this information as easily accessible as it should have been. Luckily, we will try and solve this problem in this article. Learn where Office Themes are located for various PowerPoint versions. Have you wondered where the Themes and templates you save from within PowerPoint or other Office applications are located? Remember that your custom Themes and templates location is different than the location where PowerPoint’s built-in Office Themes are saved. The location for these Themes and templates is important because you may want to share these with colleagues, clients, friends, or family. If you know where you can find these Themes and templates, you can make sure that they are copied to corresponding folders on other computers. Find locations where your custom Office Themes and templates are saved in various PowerPoint versions. 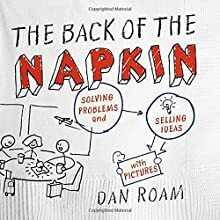 "It’s true: The heart of business is the art of problem solving." We already explored what Color Models are, and we then looked at the RGB color model that uses three primary colors: Red, Green, and Blue to mix and create almost 16 million colors. All RGB colors have values for all the three colors that you mix: R, G, and B. Assuming someone has provided you with an RGB value and asked you to add a rectangle of that color to a slide, then how do you proceed within PowerPoint? While you can open and save files from any file location you access on your computer or network, you can also add more places from where you can open and save files. You see options to add a place in both the Open and Save As tabs of Backstage view. 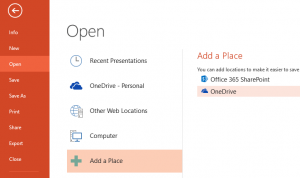 By default, your OneDrive location is already available as a place, only if you have signed in. But you can add more places too, as we shall explore in this tutorial. Text boxes in PowerPoint may need to be moved and resized within different areas of the slide. While you may think that selecting and resizing is all that is to be done, that's not the entire truth because there's so much more you can do even with mere resizing, if you know that these options exist! When you are working with multiple pictures on a slide, their position, formatting, and size may be required to be the same across successive slides. This can be achieved manually using resizing and aligning options, although you will use an inordinate amount of time making sure that the pictures look consistent slide after slide. Even then, there are chances you may not be too happy with the results or the time it takes to make these changes. You can get over this problem by using a new Slide Layout with a picture placeholder. As we learned in previous tutorials, a placeholder is a container that you can use to fill in with all sorts of content types such as text, pictures, charts, SmartArt graphics, etc. While you can open and save files from any file location you access on your computer or network, you can also add more places from where you can open and save files. You see options to add a place in both the Open and Save As tabs of Backstage view.